This is a 35 sq meter studio in what is considered to be one of the most fashionable neighborhoods in Tokyo. 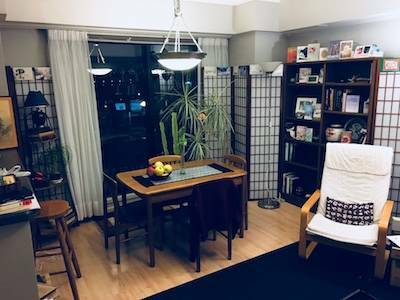 It is very sunny and has an unusually well equipped kitchen for a small Tokyo apartment, including a large freestanding kitchen island with seating for 3, an oven, microwave, two gas burners, refrigerator with freezer, Cuisinart food processor, Nespresso espresso machine, and lots of other useful cooking utensils and small appliances. You are welcome to use my collection of South Asian and East African spices when you cook. The living room has an American-sized sofa, flatscreen TV, built-in wall AC unit, and sliding glass doors that open to a balcony. The balcony has wooden chairs and a washing machine (thankfully, hidden from view from the apartment.) The sofa opens up to a surprisingly comfortable double (queen?) bed that sleeps 2. 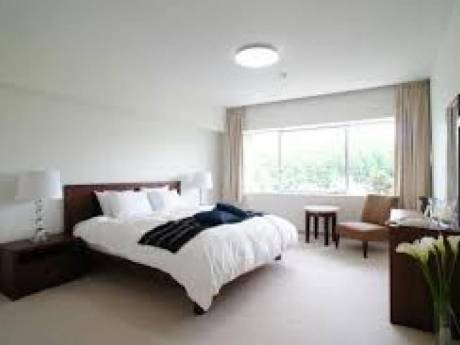 There is an additional futon stored in the closet, which sleeps 1. Please note that it's a studio; there is no separate bedroom! Here in Tokyo we live in small spaces. 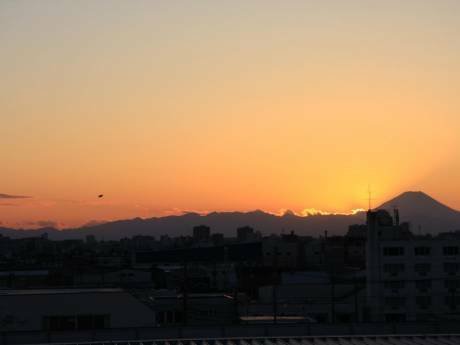 The apartment is a 3-minute walk from Jiyugaoka Station, which is on the Toyoko Line and the Oimachi Line. An express train will get you to Shibuya Station in 9 minutes. Unfortunately, the apartment is a 3rd floor walk-up, so it is not appropriate for visitors with mobility concerns. The pictures I have now aren't great. I'll try to put up more recent/detailed pictures in the next few weeks. I'm a 31-year-old American sociologist at a large research university in Tokyo. I'm not a native speaker of Japanese--I became fluent during my 20s for dissertation fieldwork in a medical center--so I still remember how disorienting it was the first time I came to Tokyo. I'm happy to offer advice and help to people who are visiting Japan for the first time. Because I'm an academic, I spend about 4 months a year away from Tokyo for research, conferences, and personal travel. My partner is also a professor and we're hoping to take a long working/writing vacation this summer. This will be the first time we've ever swapped homes but we're eager to see how it works out. Jiyugaoka is a bustling neighborhood known for its independent boutiques and cafes. The central area is a maze of alleys and narrow streets with shops, restaurants, and bars. Rue Marie Claire is the most recognizable street--a boulevard with rows of giant cherry trees and park benches running down the middle. For Tokyo, it's a relatively low-built neighborhood with lots of single-family houses. There is a truly exceptional patisserie on the corner, about 30 seconds from my building. A 5-minute walk brings you to a great Thai restaurant, wine bars, izakaya, a large Buddhist temple complex, shinto shrines, the shops and cafes of Rue Marie Claire, or the train station. Jiyugaokans tend to be well-heeled, well-traveled, and in their 30s or 40s. There is a grocery store in the neighborhood that stocks lots of foreign food, an import store, and a branch of Eataly, so if you have special food needs this is a good neighborhood. Direct line to downtown Tokyo (Shibuya Station) in about 10 minutes and downtown Yokohama in about 20 minutes.